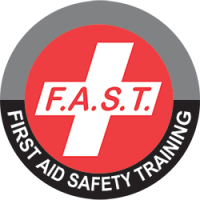 FAST Rescue are workplace Health & Safety experts offering Consulting, Safety Supplies and Training Solutions that help make employees safe in the workplace. We’re passionate about health and safety, offering unrivaled value and solutions with a satisfaction guarantee. Our Health & Safety courses are taught by a highly qualified team of professionals. F.A.S.T. 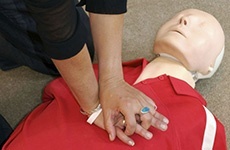 Rescue is committed to providing our customers with the best in First Aid & CPR / AED Courses. Our corporate training includes every facet of the safety sphere to ensure your workers’ safety. 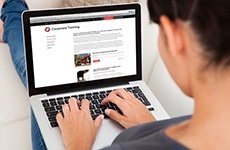 Flexible online safety training in a variety of areas. Business Continuity Management Programs are critical to the requirements of today’s businesses. FAST Rescue works with you, our client, to ensure that your critical business functions continue to operate despite serious incidents or disasters. The FAST Rescue policy team assists our clients in developing health and safety policies and procedures. Our team of experts have assisted companies in various sectors pass the WSIB Workwell Audit on their first attempt. Emergency Response Plans provide core guidance for emergency situations. This is a fully supported Safety Management Program that offers employers an outsourced system for managing safety. 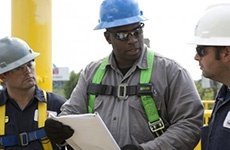 Inspections are key to reducing injuries in the workplace. The FAST Rescue inspection team works with your Safety Committee to identify potential hazards and suggest appropriate solutions. Click on each province below for information on each provinces' health and safety requirements for workplaces.